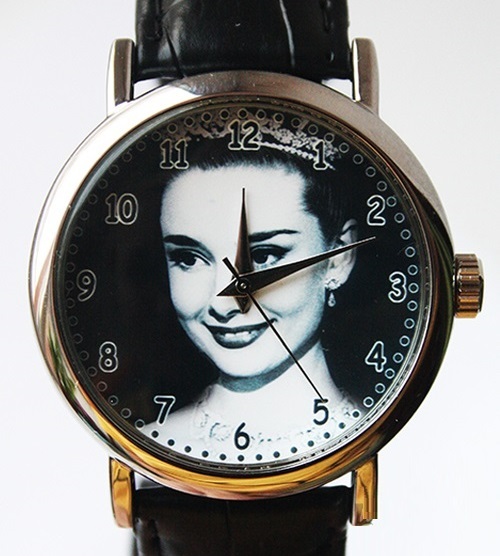 Vintage is always beautiful, and Audrey Hepburn from her Roman holidays has become an iconic image forever. 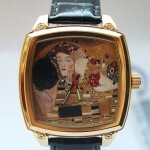 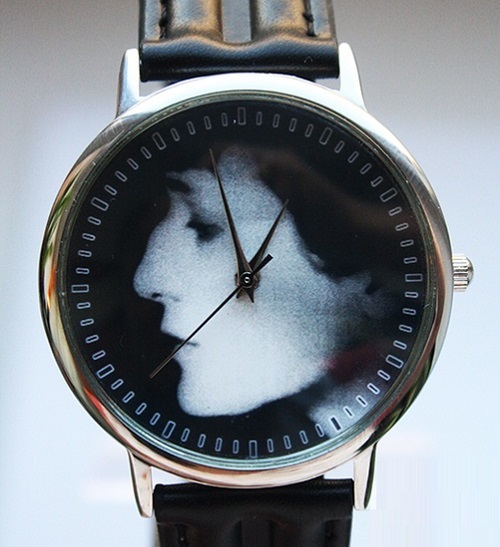 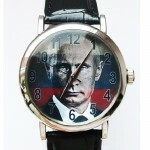 Russian designer and artist of applied art Yekaterina Speshilova (maiden name Bakhtina) has created a series of exquisite watches with the images of iconic portraits. 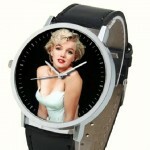 And not only portraits. 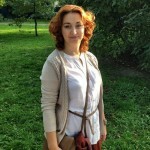 Born 30 March 1983, Yekaterina Speshilova and her family – a husband and their four children live in St. Petersburg now. 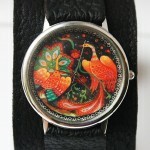 According to Yekaterina, she founded her own art studio in 2012. 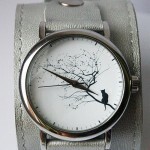 And now she successfully sells her beautifully designed wrist watches and jewelry decorations online, at a quite reasonable price. 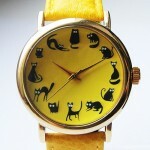 The collection of her handmade JK Wristwatches includes such series as Russia, Children’s Collection, Movie stars, 12 cats, Signs of the Zodiac and folk crafts. 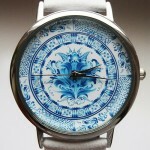 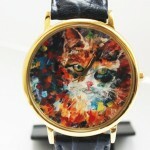 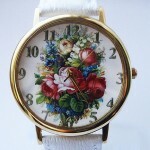 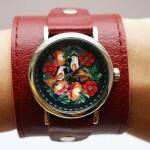 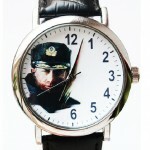 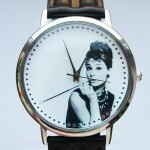 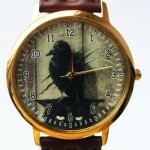 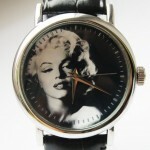 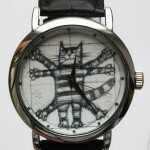 Unusual, bright designer’s watches by JK (the link to her website – below the post) are in high demand.